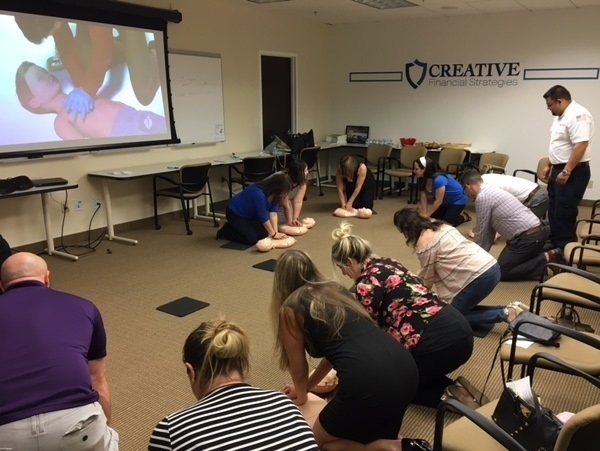 The firm recently held a Child/Infant CPR and Choking workshop in our Fairfield Office. It was a very informative evening, whereby young parents and grandparents who are taking care of their grandchildren, could get hands on learning from a Certified Instructor. At Creative Financial Strategies, we are committed to helping people protect their families.